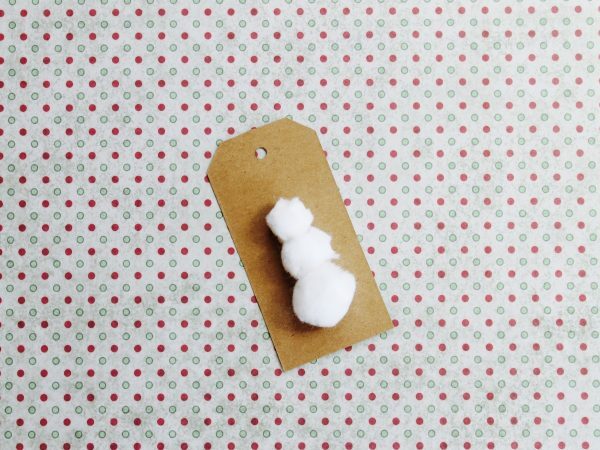 There’s nothing sweeter than homemade gift tags to make the bounty beneath your Christmas tree look warm and folksy. Use scissors to trim two of the pom poms down so that you have a base, middle and head pom pom of big, medium and small dimensions. 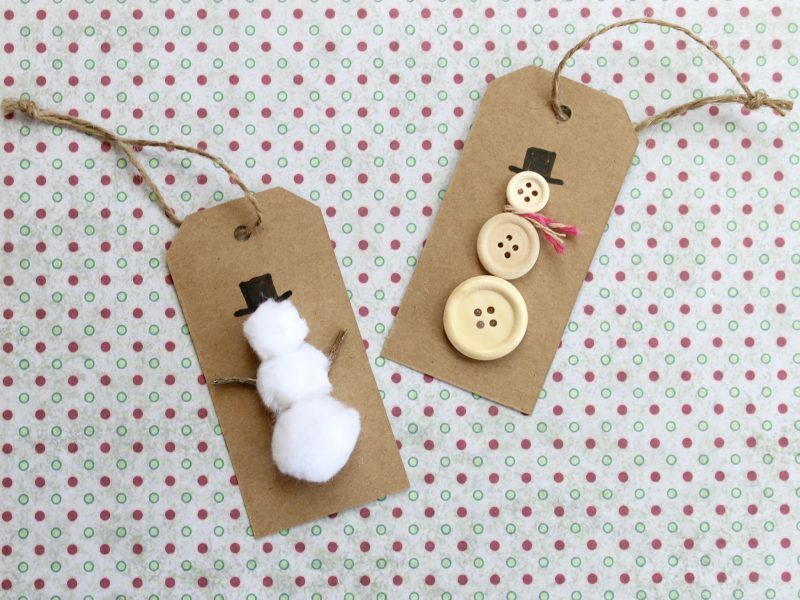 Glue the pompoms to the gift tag in descending order to form the snowman shape. Use a marker pen to draw on the snowman’s hat. 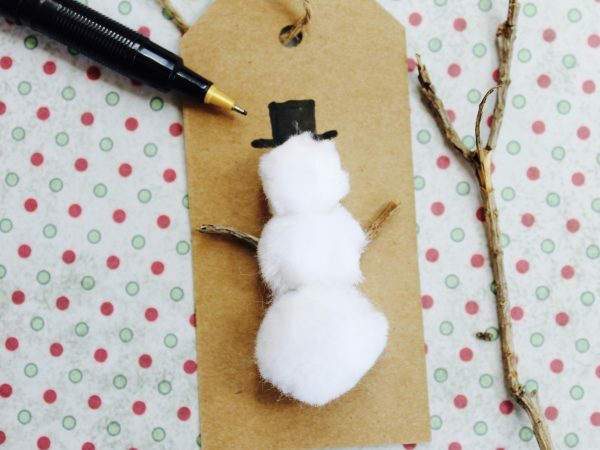 Glue two small twigs to the card as the snowman’s arms. Attach jute string and your gift tag is ready. 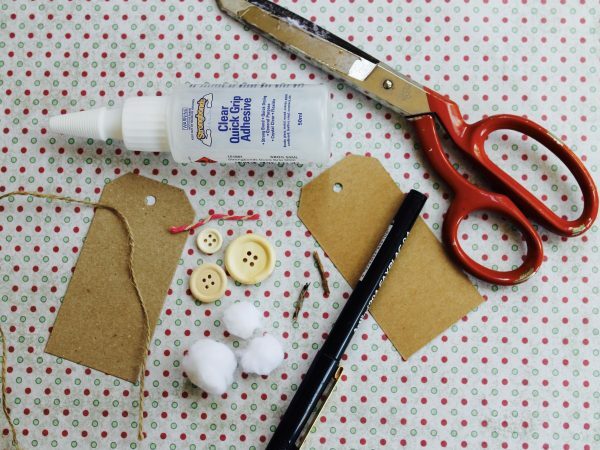 Glue the buttons to the tag in descending order. Use a marker pen to draw on the snowman’s hat and glue a small piece of string in between the middle and head of the snowman. It’s a bit fiddly but if you use a toothpick to wedge it in between the two buttons, you may not even need glue. Attach jute string to the tag and you are ready to use!